Continuing with this abecedary of all things Istrian, we come to the letter 'nj'. Nj is considered to be one letter of the Croatian alphabet because it makes one sound, which sounds like the 'ny' sound in onion. 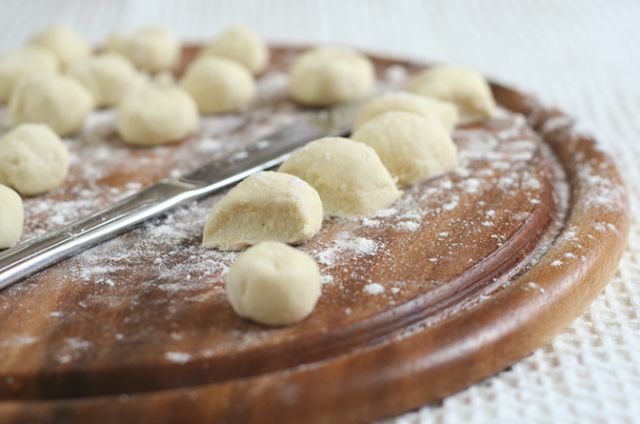 Njoki is pronounced the same way as gnocchi in Italian [n(y)ok-ee]. This is an Italian speciality, and also a staple of Istrian cuisine. They're made with potatoes and flour, and served with different accompanying sauces. "[...] After so many years, I finally learned that it should be pronounced 'Gnokee' instead of 'Gnoshee'". For sure in a few decades she'll pronounce "niokee"
Ha ha! The Croatian spelling is a lot less ambiguous!